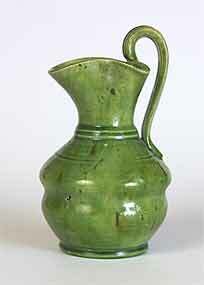 Green jug - 6⅛" (155 mm) high. A very unusual shape to the handle on this jug. Special purpose?